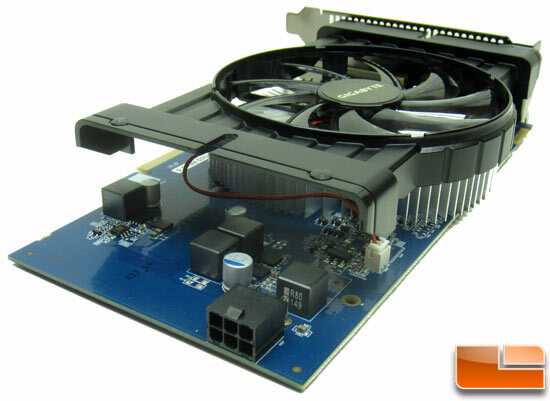 Gigabyte North America recently sent over their custom AMD Radeon HD 7770 OC 1GB GDDR5 video card for us to review. 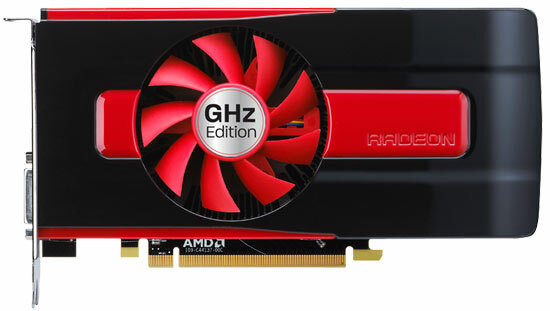 This might not be the fastest card around, but the AMD Radeon HD 7700 GHz Edition is available around the $150 price point and that makes it an attainable card for the masses. We love to review high-end products here on Legit Reviews, but we understand that the cards that many of our readers can afford are not those. 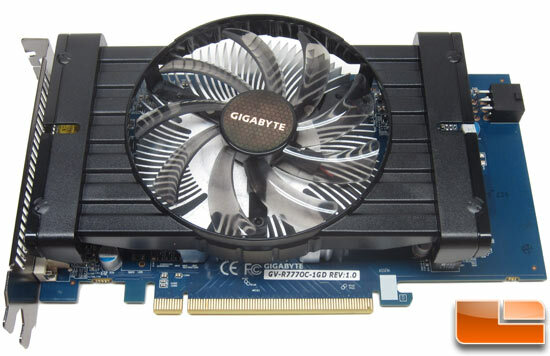 Today we will be taking a look at Gigabyte GV-R777OC-1GD, which is the companies flagship Radeon HD 7770 video card. Gigabyte is currently selling two Radeon HD variants and the differ by only the core clock of the card. As you can see the two cards are identical other than the fact that the Gigabyte GV-R777OC-1GD has a 100MHz higher core clock for an extra $10. You can likely reach this overclock for free by doing it yourself on the base model, but for those that want to be certain or don’t want to mess with overclocking, the extra money is usually worth it. fan located directly over the GPU. The PCB on the AMD reference design is black and measures 8.25-inches in length. 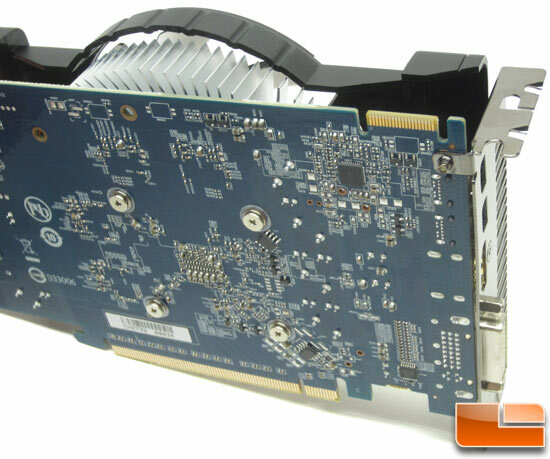 Gigabyte went back to the drawing board and had the companies engineers come up with a custom designed Radeon HD 7770 graphics card that is just 7.8125″ in length! Gigabyte left no stone unturned here, as they designed an entirely new Printed Circuit Board (PCB) with Gigabyte Ultra Durable 2 materials and slapped a custom GPU cooler on it for improved cooling. Gigabyte also decided to go with a blue PCB on this card, which is fairly normal for them, but we know many people won’t buy a card due to the PCB color not matching their motherboard. The plastic fan shroud doesn’t look bad, but the ends aren’t supported, so it feels flimsy and cheap when you handle the card. The back of the Gigabyte GV-R777OC-1GD is open as the reference card doesn’t feature a back plate or anything that needs to be talked about. We measured and found that Gigabyte is using standard 43mm mounting holes, so if you plan on changing the GPU cooler or adding a water block at a later date you can and this is the dimension you need to be concerned with. All of the AMD Radeon 7770 derived cards are based on the ‘Cape Verde’ GPU and that core can only support one CrossFireX interconnect, which means you can only run CrossFire with two cards. 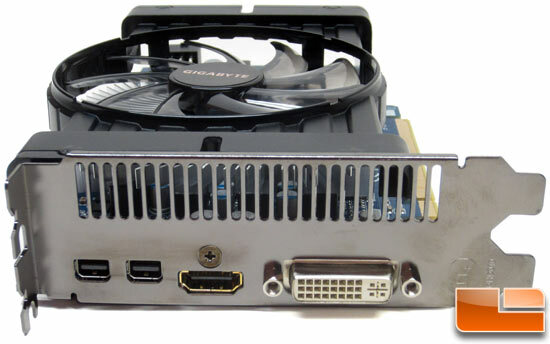 For the most part Gigabyte stuck with the AMD Radeon HD 7770 GHz Edition reference design when it comes to the video outputs. You have a pair of mini-DisplayPort 1.2 connectors, a full size HDMI 1.4a output, and a dual-link DVI-I output. This is a very robust configuration as you can run up to six monitors off this card if you daisy-chain three monitors off each mini-DisplayPort connector. 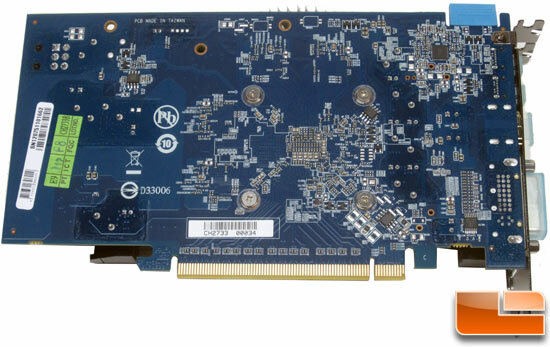 You can also run Eyefinity for a triple monitor setup and while this card wouldn’t be poweful enough for Eyefinity on new game titles it would work just fine for 2D use and some games that aren’t too graphics heavy. The only difference here is that Gigabyte is using a gold plated HDMI connector, so if you look real close in the image above you can see it is gold in color. We asked Gigabyte if there was any advantage to having a gold plated HDMI output and they said that it gets slightly better conductivity and supposedly less corrosion.